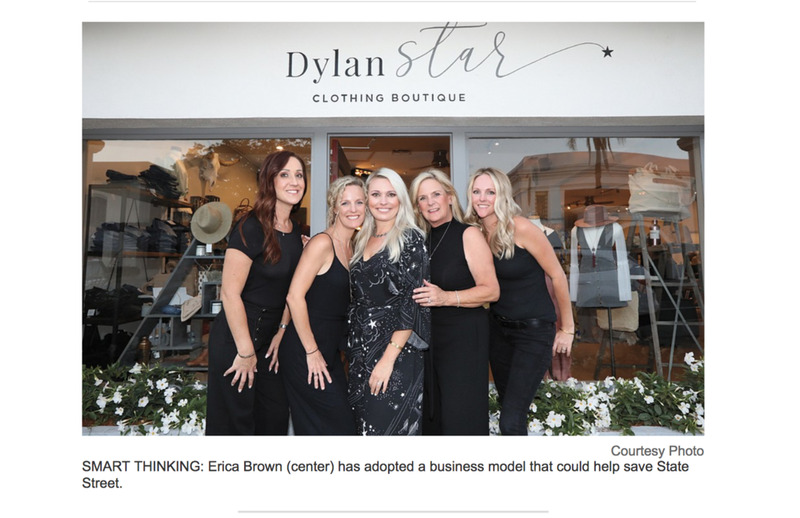 “Shared space is the future,” said Erica Brown, the third-generation Santa Barbaran behind the new clothing boutique Dylan Star. The store, on State and Islay streets, shares a newly converted space with Salon U, where Brown has worked as a hairdresser for eight years. “It’s expensive [to rent] on State Street, and to share the cost with somebody is fantastic,” she said. “It’s exciting for both people,” she said of being able to bounce ideas off Salon U’s longtime owner, Michael Romo. They hope the two businesses will encourage visits from similar clientele and allow for crossover marketing.